Laura Griffin's latest novel is Desperate Girls. In this clever kidnapping-gone-wrong story, we meet Mia Dennett, the daughter of a Chicago judge. Mia’s life spins out of control after she goes home from a bar with a man who later kidnaps her. Kubica skillfully uses multiple perspectives—Mia, her distraught mother, the detective, the kidnapper—and gives the reader a view into the strangely sensual relationship between Mia and her abductor. Kubica layers the plot and keeps the surprises coming until the very last page. 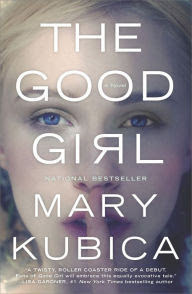 The Good Girl is among Krysten Ritter's six favorite mystery novels and Jeff Somer's' six novels that explore Stockholm Syndrome.